Home Care Services Bonita FL-Celiac disease is a medical condition that can develop at any age, but is more prevalent in older adults. This disease is defined as an autoimmune condition that makes it difficult for the body to digest gluten, which is a protein that is found in many different foods, such as breads, crackers, and pasta. Home Care Naples FL-During No Salt Week and beyond, consider trying these flavorful alternatives to help in the home care of your loved one to stay on track with their heart-healthy diet. Home Health Care Estero FL-Ted Wolfendale, Administrator of Dial-A-Nurse Home Health Care in Naples, Florida, has been chosen as the featured provider for all of South Florida for the week of September 19, 2016. Elderly Care Bonita FL-Having great neighbors is wonderful for elderly adults who live at home. With neighbors, elderly adults can form friendships and enjoy conversations. It is also great for your loved one to have someone nearby that they can talk to or even call when they need some help. Senior Care Fort Myers FL-Senior adults with high cholesterol are often put onto a strict, tasteless diet that may forever change the way they feel about food. While this may be a good thing, especially for those who should lose a pound or two, it is difficult to get your loved one to eat the foods their body needs if it does not have an appealing taste. Could Your Loved One with Alzheimer’s Disease Be Experiencing Triggers for Some of Her Behaviors? By Ted Wolfendale	| Aug 30, 2016	| Comments Off on Could Your Loved One with Alzheimer’s Disease Be Experiencing Triggers for Some of Her Behaviors? Elder Care Naples FL-Alzheimer’s disease changes quite a bit of your elder loved one’s life. One of the bigger ways that your loved one’s life can change is that suddenly situations that were no big deal can now become triggers for some unpleasant behaviors. Home Care Services Captiva FL-Transitioning your senior with Alzheimer’s disease into your home can be a fantastic choice for streamlining your care efforts, increasing their safety and security, and giving you the opportunity to make memories with them that you can cherish well into the future. Are You Emotionally Prepared to Handle Your Aging Parent’s Care? By Ted Wolfendale	| Aug 17, 2016	| Comments Off on Are You Emotionally Prepared to Handle Your Aging Parent’s Care? Homecare North Fort Myers FL-Taking the step into being a family caregiver for your elderly parent is not a minor decision. This is a life-changing choice that you should consider strongly before coming to the final decision, or making your homecare plan. 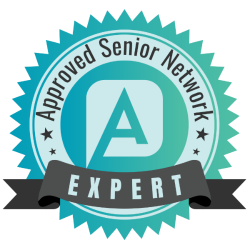 Elderly Care South Fort Myers FL-Fortunately with your help or the care of an elder care provider, coping with psoriasis and continuing to live an active, engaged, and fulfilling lifestyle is possible. Caregiver Cape Coral FL-When caregiving, many times your focus is on your loved one’s health. While that is certainly very important, it can often lead to ignoring your own health needs. However, in order to be a great caregiver, it is important for you to stay healthy, too.